ich hoffe ihr seid wohl auf! Heute gibt es ein Outfit mit DEM Trendmuster: Vichykaro. Um den harten Kontrast von Schwarz und Weiß etwas zu brechen, entschied ich mich zu einem altrosa Trenchcoat zu greifen. Da meine Miumiu-like Ballerinas genau dem gleichen Farbton entsprechen und gleichzeitig auch das Schwarz wieder aufgreifen, war klar welche Schuhe ich wählte. Endlich konnte meine Valentino-like Tasche mit silbernen Nieten mal wieder ausgeführt werden und passend dazu wählte ich auch den übrigen Schmuck in silber aus. I hope you are all fine! The heart of today's outfit shows you an outfit idea of how to wear the it-pattern of the season: vichy. 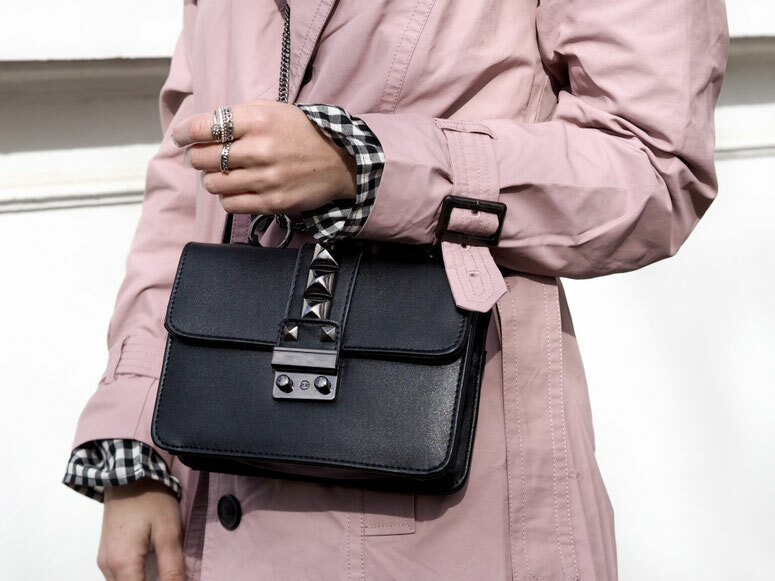 To soften the hard contrast of black and white I choose a pink trench coat. Since my Miumiu like flats fit perfectly to the coat and pick up the black I had to wear them. I finally got a chance to wear my beloved Valentino like bag with silver details again. For the rest of the accessories I choose silver details as well. I hope you enjoy this look! I love that black jumpsuit so much, different n chic !! 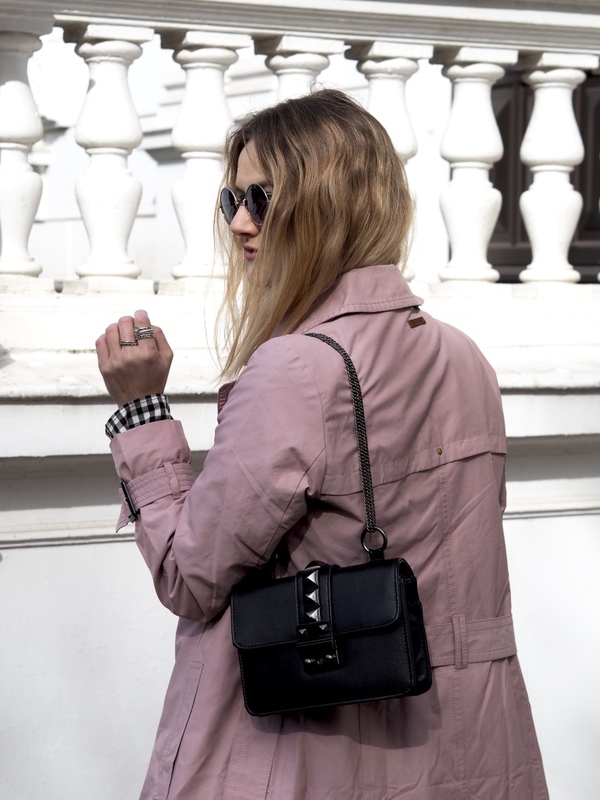 Bag is just the bonus..
Would u like to follow each other on blog and Instagram ?